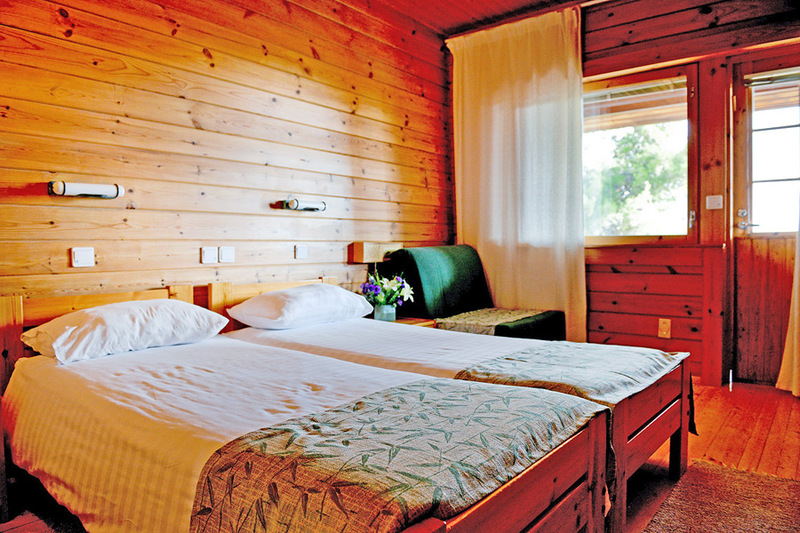 Our guest house units are built out of wood imported from Finland, with the famous Finnish first-class building quality. the wooden-style building is rare in the Jerusalem area, and it creates a specially calm and welcoming atmosphere. If booking is canceled up to 3 days (72 hours) before arrival. Will be charged 50% of the booking price. If cancellation or change in the reservation up to 24 hours in advance will be charged 50% of the price of the reservation, last minute cancellation or non-arrival - the entire amount. Cancellation up to 3 days (72 hours) - 50% of the booking price, last minute cancellation or non-arrival - the entire amount. Log CabinsThe log cabin rooms, constructed by the original Finnish settlers of pine logs, include air-conditioning, private bathroom, cable television, hair drier, a coffee corner and a small fridge. All have a balcony or terrace and all have views of the green Judean Hills. The double rooms all have the possibility of adding a third person.